A mysterious weapon invades every screen, and society is instantly thrown into chaos. Kaylee Colton’s life is devastated when her brother is infected by the mind weapon and he attempts to kill her, after stabbing their mother. Kaylee flees from her house but finds that she too has been damaged by the mind weapon. She can no longer speak. Her once peaceful neighborhood explodes into total war. Escaping the bloodshed, Kaylee slowly loses her mind as she hides out in an abandoned home. She then learns that a resistance has formed at a local high school, and she accompanies a strange boy to join in the fight. 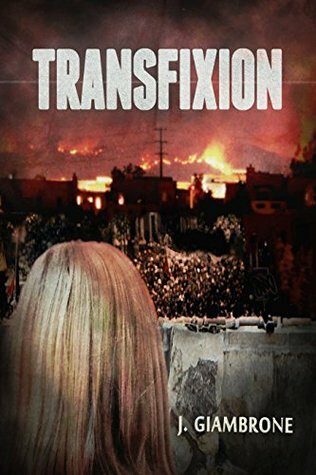 Transfixion tells the struggle between militarism and pacifism, war and peace, as Kaylee Colton becomes the key to unlocking the secret of the hypnosis weapon. 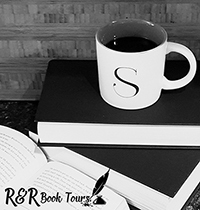 Author of Wrecking Balls, a tale of friendship and its discontents. His science fiction thriller Transfixion is published through Solstice. Hell of a Deal: A Supernatural Satire is up at Amazon, B&N & Smashwords. His 2011 short film The Container won the one-minute juried prize at the Sundial Film Festival. In 2016, he again won in the one-minute category with The Real Reason You Should Recycle. Journalism appears at International Policy Digest, WhoWhatWhy, Counterpunch, Globalresearch, Foreign Policy Journal, High Times, OpedNews and other outlets. He writes, films and adapts works across media. After watching a television broadcast people are turning into killing machines. Kaylee Colton narrowly escapes after her brothers kills their mother then comes after her. But Kaylee did not escape the broadcast, she manages to escape and finds Dustin who takes her to local high school with other survivors. There they train to defend themselves as the ‘dupes’ start changing their murderous tactics. Kaylee seems like a younger teen, it’s never mentioned, and all she wants to do is finish her ghost hunter story. But she is forced to participate in the real world if she doesn’t want to be another person killed by the dupes. I liked watching her grow and thought the idea of her unable to talk an interesting twist. It was interesting watching her grow through the story but I don’t know what to feel at the very end. You don’t learn much about what caused the broadcast although I loved the concept of the television turning people into crazed, zombie like killers. You don’t have a lot of closure on this but you can take that one of two ways. Most people I see are disappointed but in real life it’s not like you would get much closure either. I liked this story and think it’s a fresh take on YA stories. I like how it focused on reality instead of forcing a teen romance. I can’t wait to read more books from J. Giambrone. I received Transfixion from the author for free. This has in no way influenced my opinion of this book.